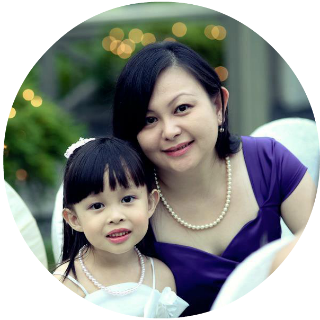 ~Mamamie's Thots~ Singapore Parenting and Lifestyle Blog: Meet-The-Parents-Session-AGAIN!!! 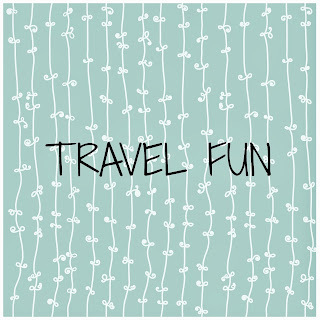 Its the time of the year where we will either get to hear praises or complaints from teachers. Half of 2012 is coming and it is also the time where we have to go and meet their teachers to listen, suggest and take action on whatever is needed to do. 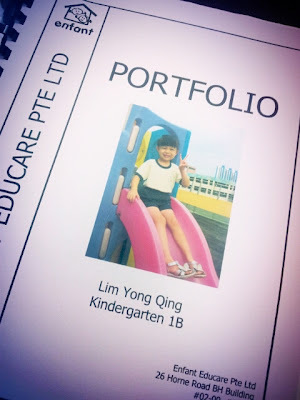 YQ's progress in school has always been in the top form for her academic area & she get along pretty well with her peers. Her teachers did voice their concern to me about her emotional issues & "cannot lose" attitude. Overall she is very obedient in the class and always like to help weaker peers. I have to spend more time telling her that it's okay to face failure in life & not get too affected by it. 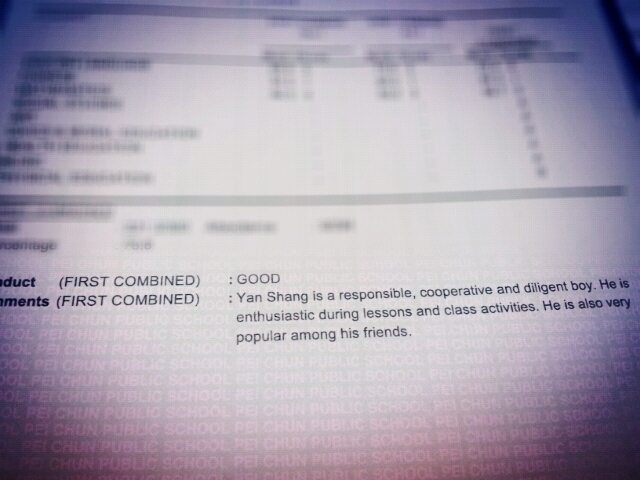 YS has very short attention span during lessons so I'm relieved that there were no failed subjects in his report book. I guess as a mother, I can only try to encourage him to do it better next time. We are still holding on to the idea of sending him for tuition class. Character wise, he is progressing better than I expected. 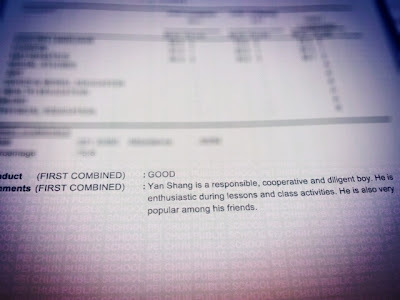 His teacher even commented that he is very "popular" in the class, which I don't really know its good or bad news *laughed*.